One of the things that people often fail to realize is that firewalls are not simple pieces of network infrastructure that melt into the background. The firewall is the gatekeeper between the dirty outside world (WAN) and the clean local area network (LAN). Unlike a traditional firewall which only acts at Layers 2 through 4, today’s firewalls are able to inspect and act on network traffic at Layers 2 through 7. However, in order to provide these additional layers of protection, it typically requires an ongoing software subscription service being activated on the firewall appliance. Using a modern firewall without security services sets threat protection back almost 20 years. Additionally, some products lack fundamental capabilities and require that additional hardware be purchased in order to add features like anti-virus protection. Dell SonicWALL’s Next-Generation Firewalls are designed from the ground-up to eliminate the protection-for-performance trade- off. Coupled with a valid security services (software subscription) agreement, Dell SonicWALL’s firewalls provide some of the highest levels of threat protection available today; delivering deep inspection of network traffic with a single pass engine that protects customers without compromising network performance. We at Dell SonicWALL would like to provide prospective customers with critical information about our Next-Generation Firewalls and our competitors’ firewalls. The content provided is based on open facts and specifications published by these competitors. The goal is to provide customers looking to purchase a new firewall with enough information to make an informed decision. 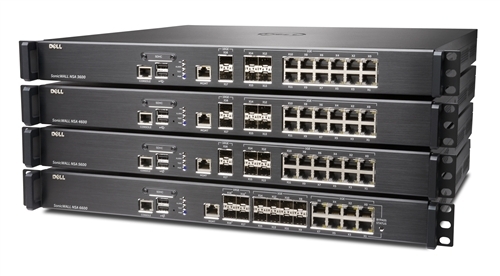 Click here for the top reasons why you should choose Dell SonicWALL’s NSA Next-Gen Firewalls over Cisco’s ASA.